In this episode we chat with mechanical engineer Sam Feller about product design, power optimization, and drawing skills. Oh, and we talk about dunking cookies in milk… how can you beat that? Adam continues working on a semi-automated system for brewing beer. An xkcd comic suggests an optimal blood alcohol level for effective programming, otherwise known as the “Ballmer Peak.” There is at least a modicum of scientific evidence that this might be true. Our guest for this episode is Sam Feller, founder of Awkward Engineer Creations, LLC. While initially intrigued by its promotional pamphlet, our guest chose Worcester Polytechnic Institute (WPI) for his engineering education because of the project-based curriculum. Sam built a roof-inspection robot for his senior project at WPI. Eliminating TV from his life helped Sam find enough time to start his business. Field Notes was started as a “side project” by an advertising firm. The first product that Awkward Engineer brought to market was the Panic Button light switch. Although initial sales of the light switch were not encouraging, Sam’s product eventually got picked up by retail website Think Geek. To get his product carried in brick-and-mortar stores, Sam had to create appropriate packaging. Our guest took drawing classes to improve his ability to convey ideas, starting at a local community college, and eventually moving on to the Massachusetts College of Art and Design (MassArt). Sam feels that his ability to create CAD models is enhanced by his sketching skills. While Moleskine is his notebook manufacturer of choice, Sam also likes drawing on stacks of printer paper. 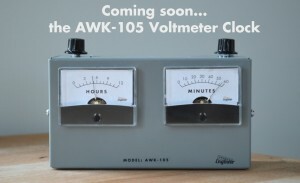 Currently in development, the next major product from Awkward Engineer will be a voltmeter clock. Initial development of the clock was carried out using a DigiSpark controller. Careful attention to controller configuration and programming is crucial in allowing the clock to run for months on battery power. Sam developed a transistor network to allow him flexibility in extending clock features. Working with local suppliers makes Sam’s life easier, so he prefers to do so. The U.S. Food and Drug Administration (FDA) has a listing of substances generally recognized as safe (GRAS) with regard to food products. Sam encourages engineers wanting to head out on their own to get started. Essays by our guest can still be found on the since-retired Engineer Blogs website. Sam continues to blog on his Awkward Engineer website. He can be reached via email: questions +=- at -=+ awkwardengineer.com, or on Twitter as @AwkwardEngineer. 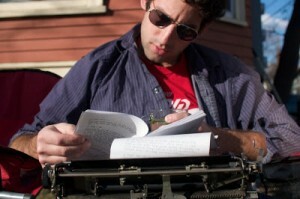 Thanks to Sam Feller for allowing us to use the photo of him, taken by Emily Falcigno. Podcast theme music by Paul Stevenson.